"This chicken better be the best chicken I've ever had!" says Laura gripping the wheel. It's a Friday afternoon. After a busy week, she Kat and I piled into her car called Skinny Mini (she's a Mini Cooper) and set off for some garlic chicken at El Jannah in Granville. At the 30 minute away mark we look out at the sky and it looks ominous. A large funnel shaped light beams down through a clouds - it's almost as if we expect a giant hand to come down and pick someone up. Instead it's lightning and thunder and then lots of balls of hail. Many cars have pulled over to the side because of low visibility but Laura is determined not to get flooded in. Once we pull off the motorway we take refuge under someone's carport to protect Skinny Mini. When we get to El Jannah it looks like a scene from a hurricane shelter. The floors are flooded, people have left their tables strewn with food, napkins and bones and they are mopping up and squeegeeing the floor. On the outdoor tables winds are whipping and things are blowing down the street. And yet there are still queues. 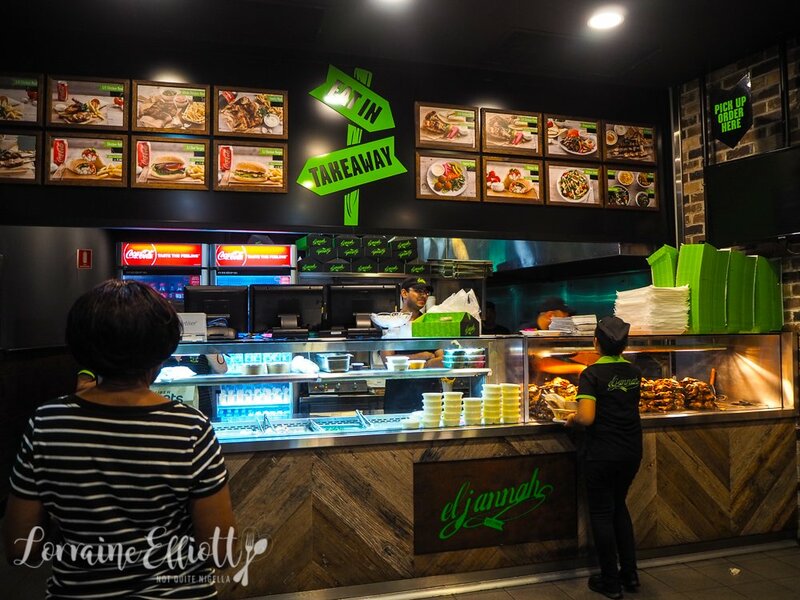 There are several branches of El Jannah throughout Sydney and certainly others are closer but the Granville one is the original one and said to be the best. "I need to do a nervous wee!" announces Laura who goes off to the bathroom. After that she needs a moment to recover from her road warrior driving mission so Kat and I go up to the counter to order while Laura makes her requests for chips known. 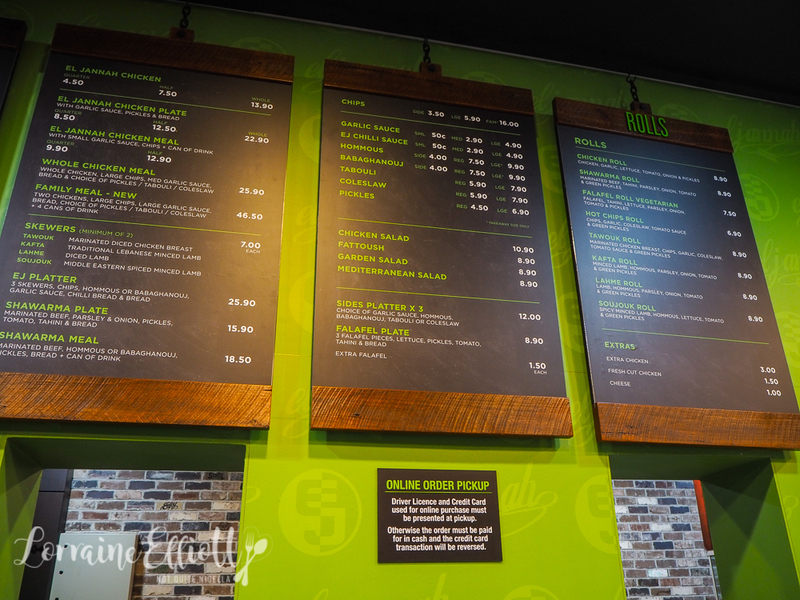 We want everything and then with an extra order of garlic sauce because garlic sauce is life. We order a few different things and then take our number to the table. 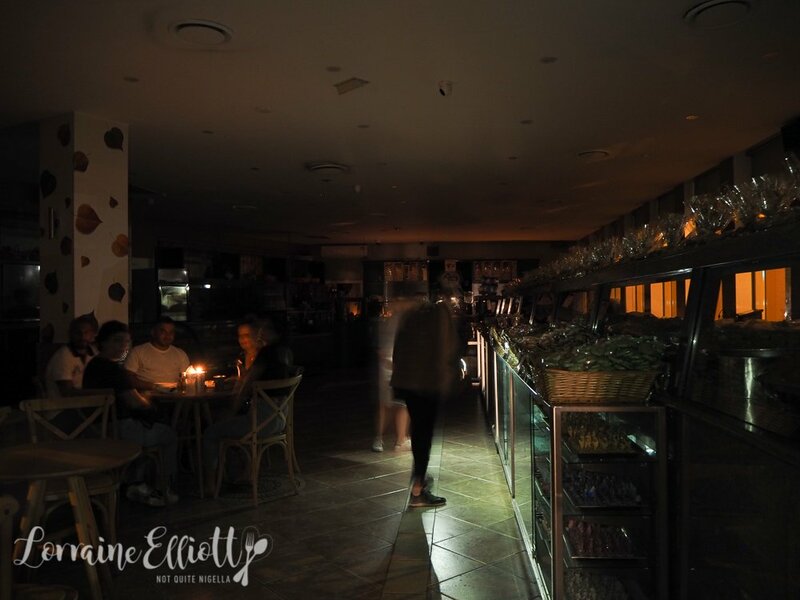 As we get back to the table, a loud clap of thunder sounds and all the electricity goes off sending everything into pitch darkness. It's about now that I start questioning whether the universe is trying to tell us to leave. The lights come back on and the food comes out. 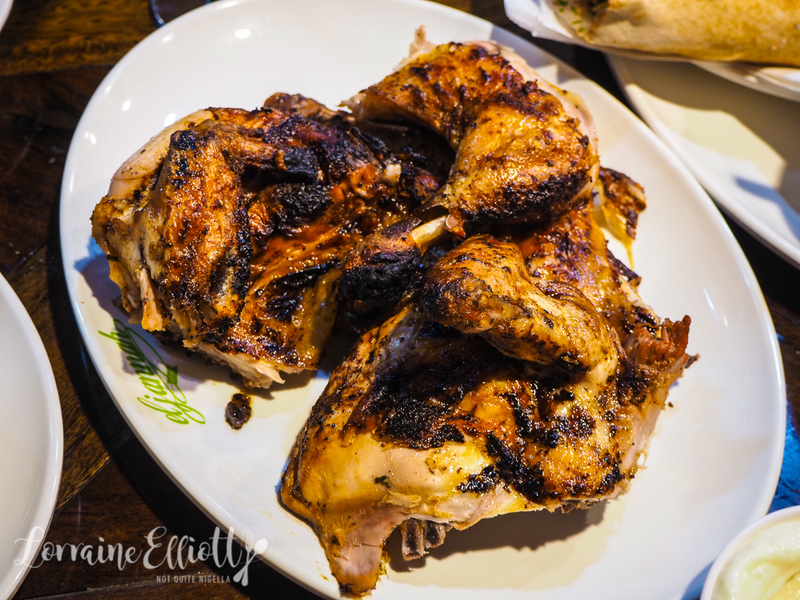 We ordered the whole chicken meal which comes with the famous grilled chicken cut into quarters. 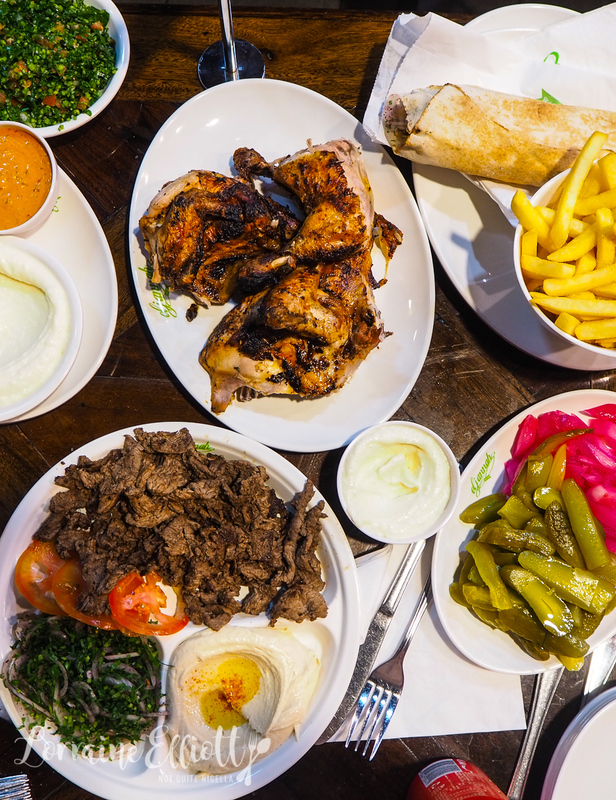 This comes with a large chips dusted in chicken salt, a medium sized garlic sauce and tabouli. The chicken itself is nice, with a charred flavour from the charcoal. While it's good I think we were expecting something that would be a bit more remarkable although you do have to cut them some slack for dealing with the crazy weather situation and flooding which no doubt may have played a factor. 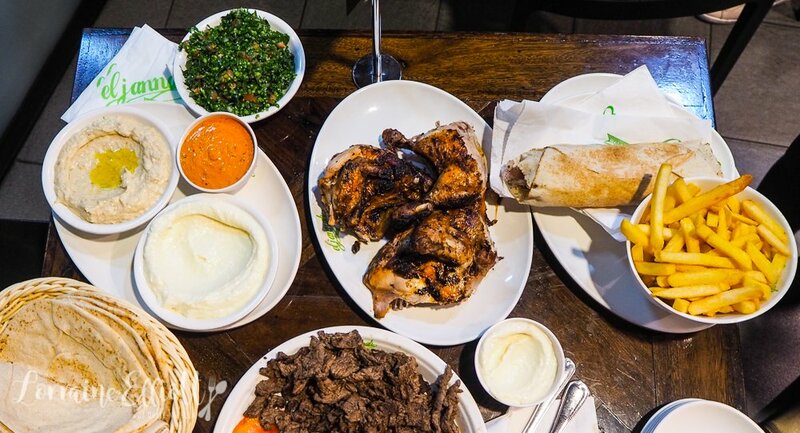 We all love the sides though and that garlic sauce is fantastic. Laura orders some pickles as we love these colourful, tasty additions although we got confused and thought we were getting pickles. 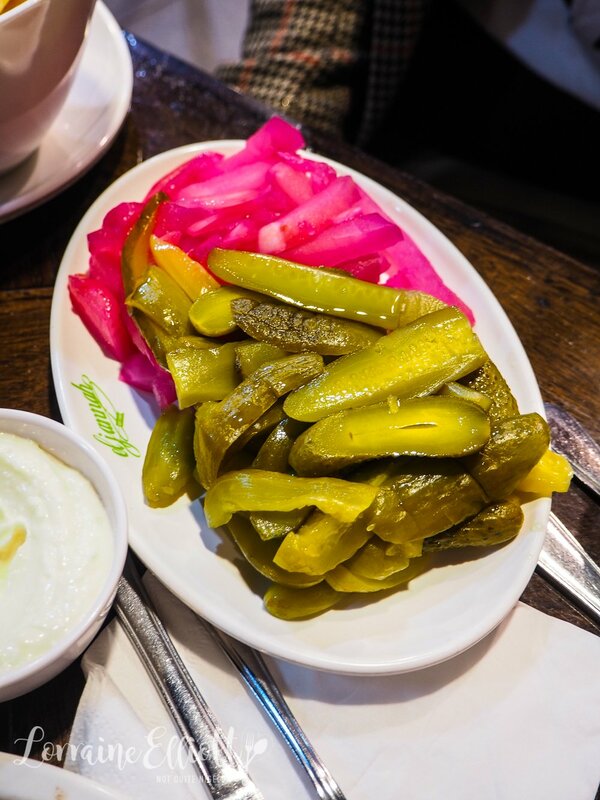 We got onion salad but we want the colourful pickles. 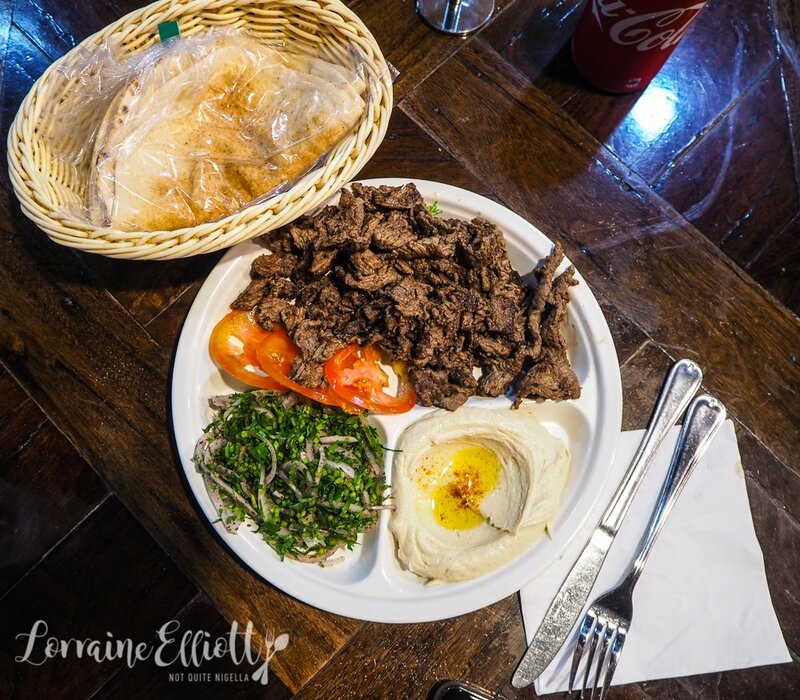 The beef shawarma meal comes out and it has a generous amount of shaved beef on it. 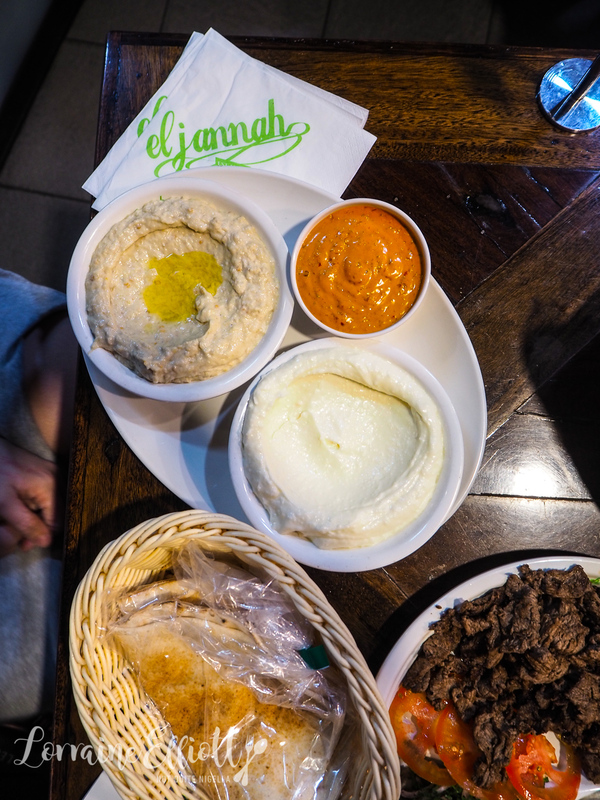 There's also bread, onion salad, a choice of hummus and baba ghanoush (we ordered both, one as an extra side dish). 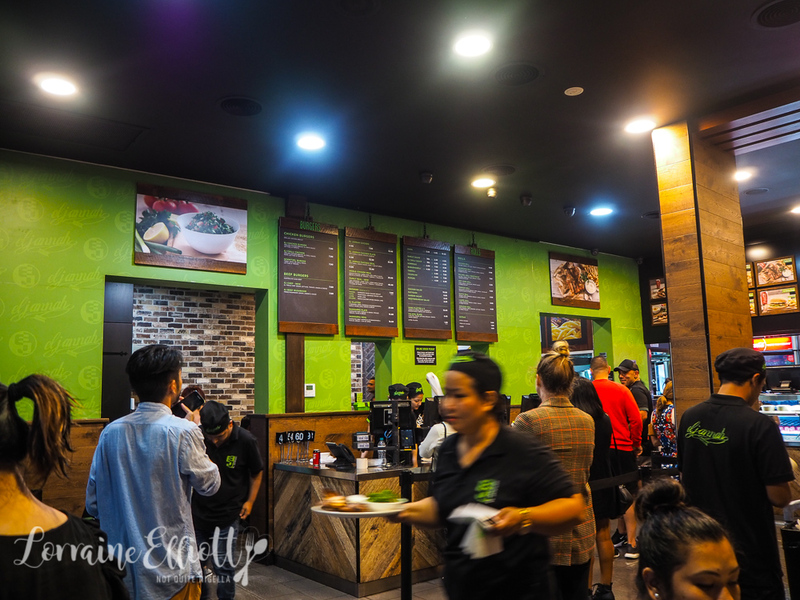 The baba ghanoush is excellent and beautifully smoky and creamy and the hummus is also good although out of the two the baba ghanoush is just that much moreish. The chilli sauce is also delicious, slightly creamy in texture and mildly spicy. Laura and I split out pita breads into single layers, and layer them up. She adds chicken and garlic dip to hers. I add garlic dip, pickles. baba ghanoush, tabouli, beef and chilli sauce to mine. 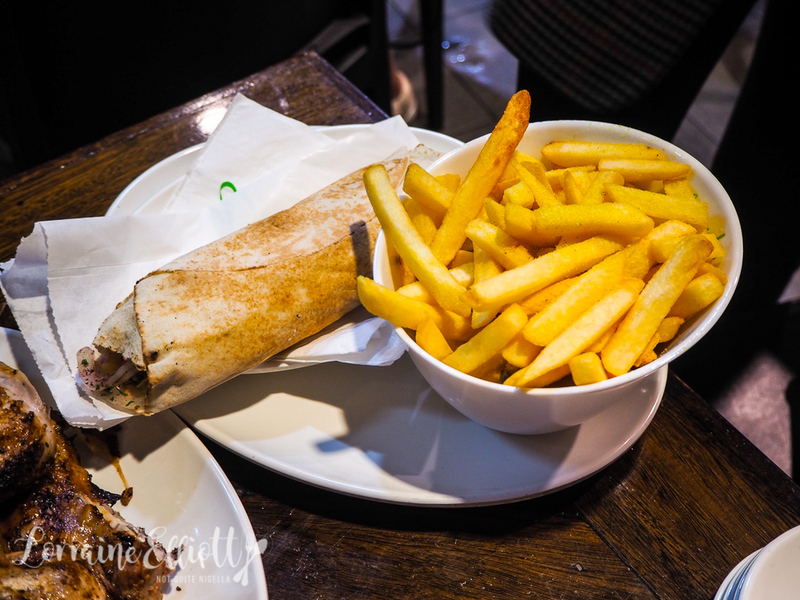 Meanwhile Kat adds hot chips to her pita bread, making her own version of a gyros. We also ordered a roll just to see what it was like. 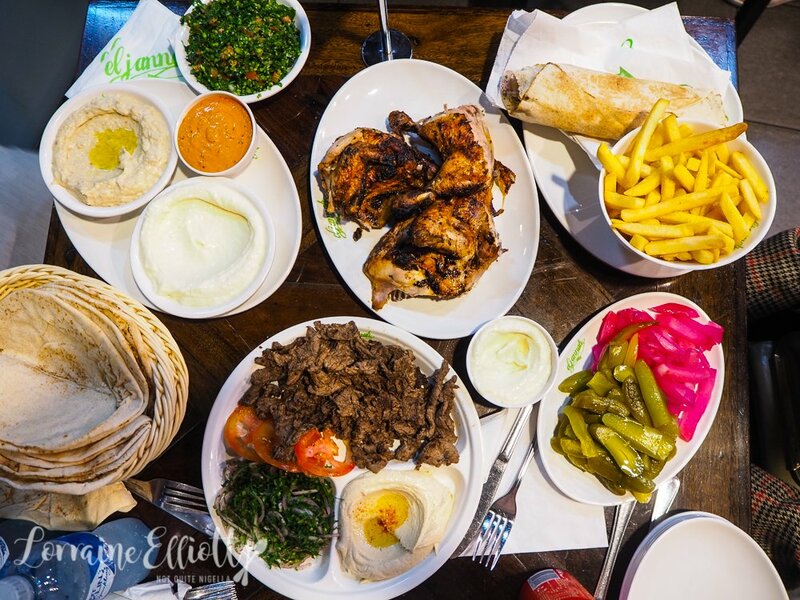 There's felafel, tahini, lettuce, parsley, onion, green pickles, red pickles and tomato. It's fine, a little dry but nothing some garlic sauce can't fix and perhaps it's a big ask to compare the felafels to the best felafels that we have ever eaten (in Dubai). 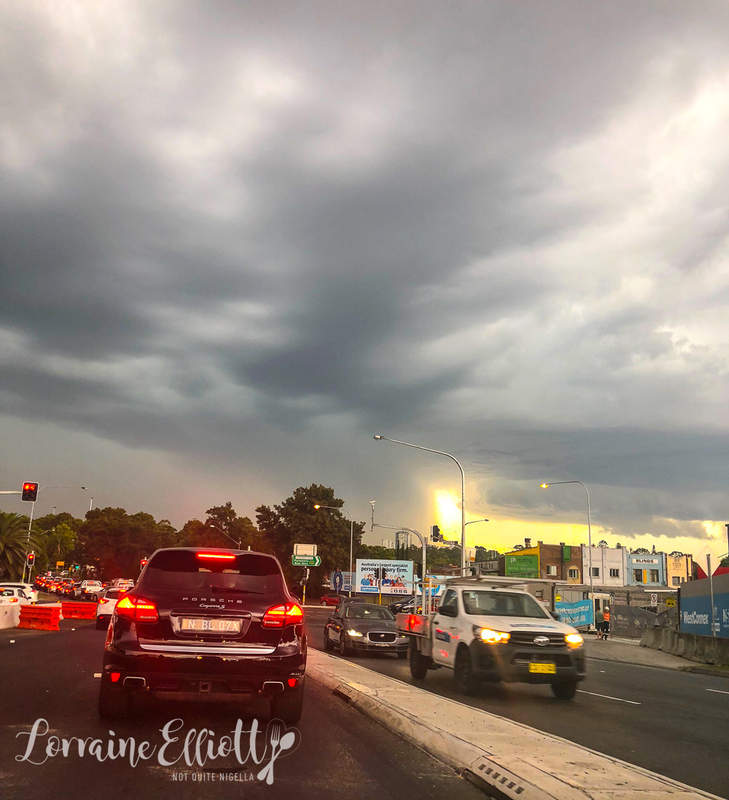 As we leave the queues snake out onto the street and Laura quips, "They're all the people that pulled over during the storm!". We are now in search of sweets. 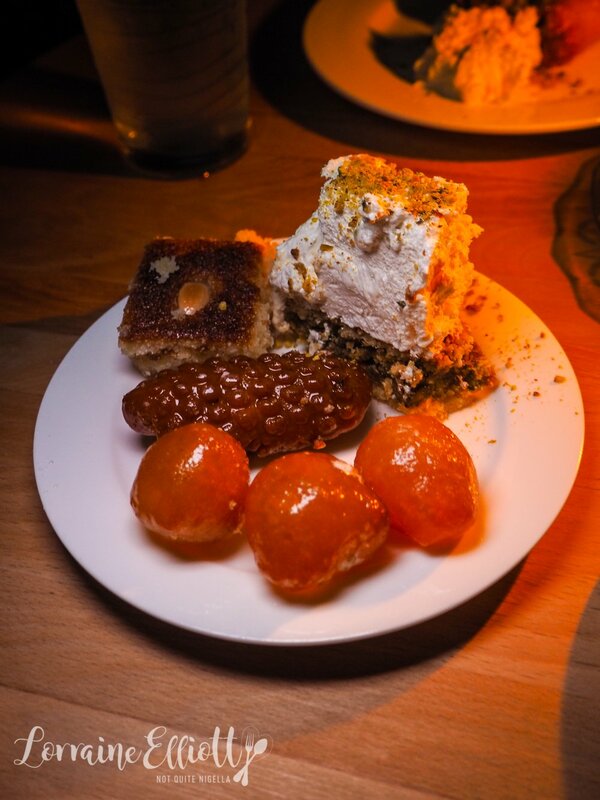 A friend of Laura's recommend Abla's sweets just around the corner. Because of the sudden storm this evening the street lights are out. When we get to Abla's it's pitch dark. But we see one tiny point of light in the shop. It's a staff member's mobile phone light. They are open! We walk up and down the displays with our phone torches on picking and choosing what we want to have. 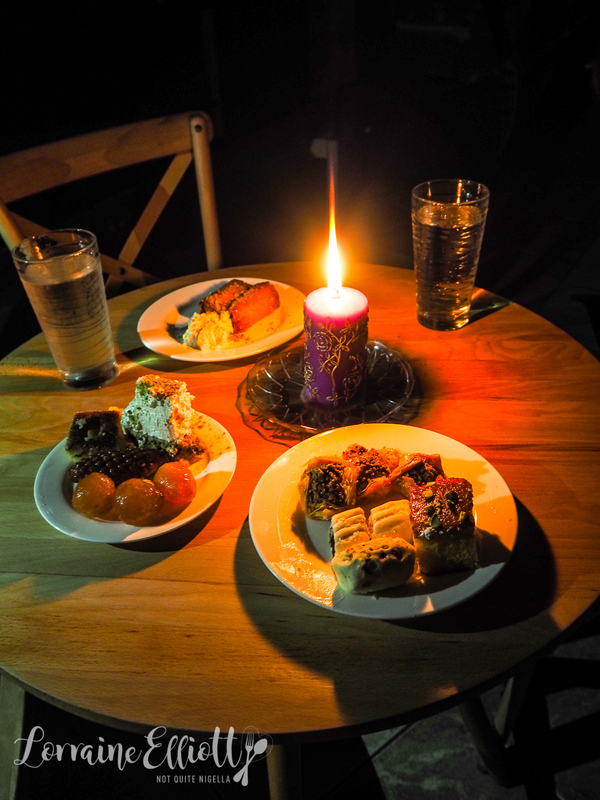 Then they bring us a candle and plate up our goodies. Everyone's favourite is the square nutty baklava but we also try a range of cakes, pastries and syrup soaked biscuits. It's all very sweet but tasty including small syrup filled doughnuts, semolina cookies and shortbread wrapped date cookies. We brace ourselves for the drive back home. While the rain has stopped, some areas are still flooded. There are no traffic lights but the cars are taking turns going politely. We sing along to music, discuss trash tv like Married at First Sight and Laura reveals her secret celebrity crush: Bruce Willis just as we pull up to my place. "What? We need to continue this conversation!" I say. To be continued...another place, another eatery. So tell me Dear Reader, do you ever drive far away to eat? And do you love garlic sauce too? Who is your secret celebrity crush?